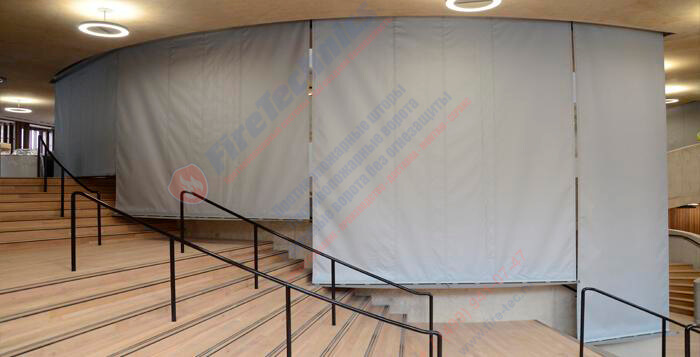 Automatic smoke curtains of the type FireTechnics (Fireshield) E120 (Without irrigation with water) are designed to prevent the spread of smoke and to divert smoke to smoke removal systems, thus providing the opportunity for safe evacuation of people and saving material values from the effects of smoke. Fire resistance: 120 minutes (without irrigation water). The curtain is lowered due to the drive system Gravigen — no power, under the action of gravity the bottom bracket. The lowering speed is 0.15 m/s In the case of the power failure the system retains functionality within 72 hours with a control unit built-in battery. Box (depth x height) at a height less than 4 m. 150х150 mm. Box (depth x height) at a height of over 4 meters 200х220 mm. To obtain high durability when exposed to high temperatures within each fiberglass thread interwoven with thin stainless steel wire. The fabric is deemed not flammable and non-toxic. Made of galvanized sheet steel 1.5 mm. both ends of the housing closed with lids in order to make the contour of integrity, as well as for the perception of torque tubular motor. The dimensions of the box depend on the height of the cover openings. Colour: any RAL color or galvanized steel. Smoke curtains Fireshield E120 in standard design not require installation of the side rails of the tires. In special cases, at the customer’s request, installation guides possible. Important! 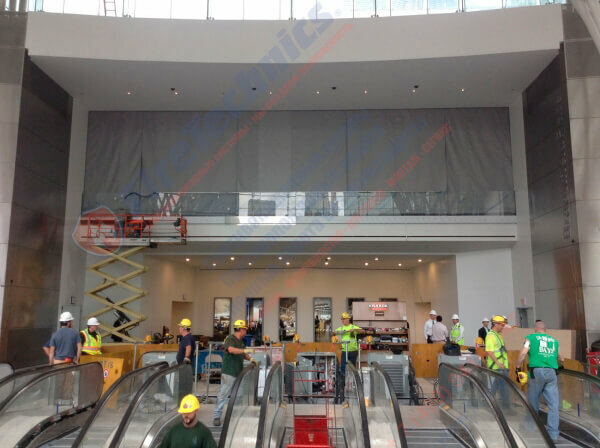 fireproof curtain type FireTechnics (Fireshield) E120 (without irrigation water) are delivered to the object is almost assembled, which greatly facilitates the installation of fire curtains, increases the speed and correctness of execution of mounting and commissioning works. Business owners, or people responsible for a particular industrial or commercial building, should take care of the installation of fire safety systems on their territory in a timely manner. With their help, in the event of an emergency, it will be possible to quickly locate the fire and the spillage of combustion products, thereby saving human lives, values and property. 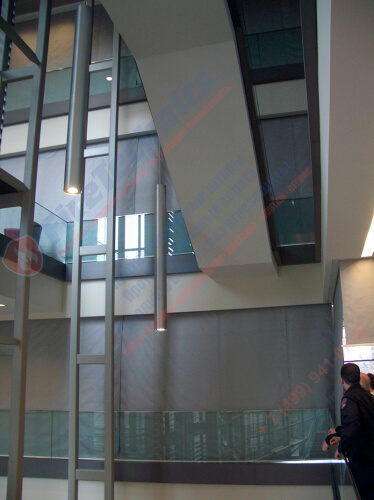 One of the popular designs of this type today are smoke curtains, buy which can be used by FireTechnics. Their destination lies in the localization of smoke in the room and giving people time to evacuate from it. Such structures can retain fire and smoke spread over a fairly long period of time – from 30 to 180 minutes, based on their technical and specific features. How do smoke curtains work? Being passive means of fire protection, such barriers are made from materials of the NG category that do not support combustion and are additionally supplied with special impregnation, which prevents smoke spread. The latter is extremely important, after all, as inexorable statistics say, the overwhelming number of people in a fire are injured in health and threatened by life precisely because of negative smoke exposure. Carbon monoxide poisoning can occur literally a few minutes after its inhalation. In addition, smoke is a hindrance in the evacuation of people from a building captured by fire. It worsens visibility and makes it difficult to find out. 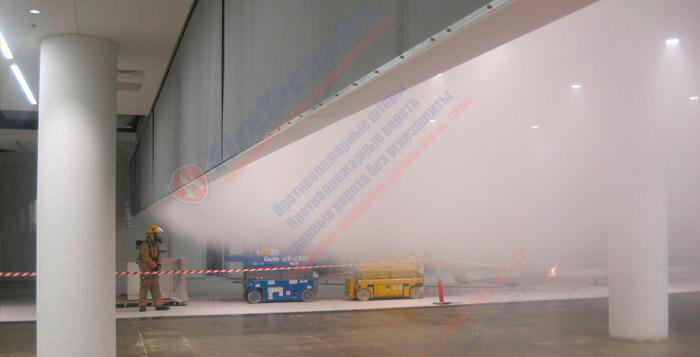 Installation of smoke curtains Moscow, Orenburg, Saint Petersburg, Voronezh Etc. 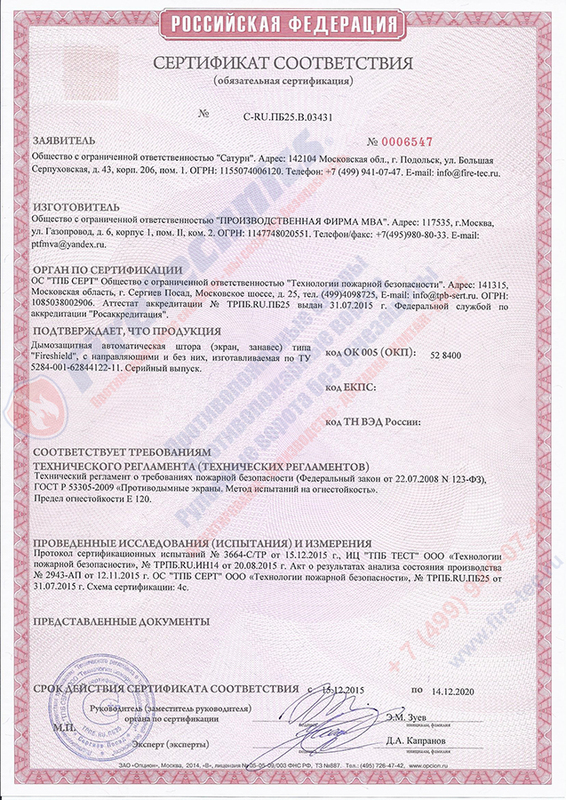 – an indispensable condition for buildings in which there are always large numbers of people – shopping centers, production and storage facilities, airports and railway stations, public and cultural institutions, etc. When fires occur, together with fire protection systems, they can save hundreds of human lives. The design of automatic smoke shields implies the presence of a box in which the smoke-retaining material wrapped on the drum is placed. This device is mounted in the upper part of the opening of the window, door or other technological opening, and its width can be arbitrary. If the opening is very large, the anti-smoke construction can be assembled from several parts. 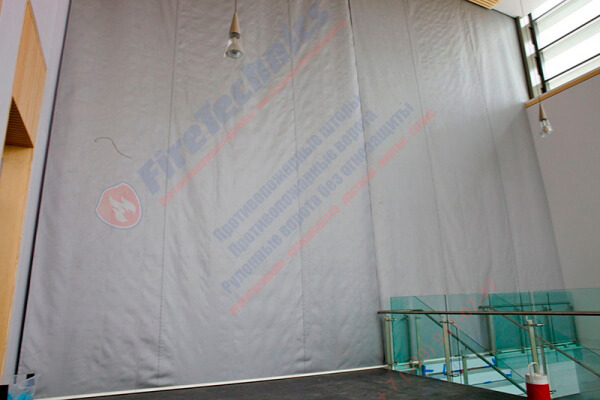 As a rule, the canvas is devoid of guides compared to standard fire barriers, however, according to the principle of operation, they are almost identical to fireproof ones. Smoke curtain management is quite simple and mostly automated. In the absence of fire, the obstacle does not interfere with movement through the building, since it is wound on a shaft installed under the ceiling. But it is necessary to enter a signal about the occurrence of fire danger, and a signal is sent to the system, after which its mechanism automatically drives the tissue into motion. Due to the force of gravity acting on the cutting tire, the curtain material is lowered, overlapping the opening. This takes no more than 3 seconds and, importantly, this process can occur even in the absence of electricity. I want to note that smoke curtain cost can have different, which depends on its dimensions and the degree of fire and smoke. The EI 120 is a good enough parameter to say that this anti-fire design is capable of delaying smoke and burning for 2 hours. These protective devices are most often installed in door and other entrance openings. Their mechanisms are attached to the ceiling and side surfaces. The tightness of such structures is much higher than that of doors with fire protection. 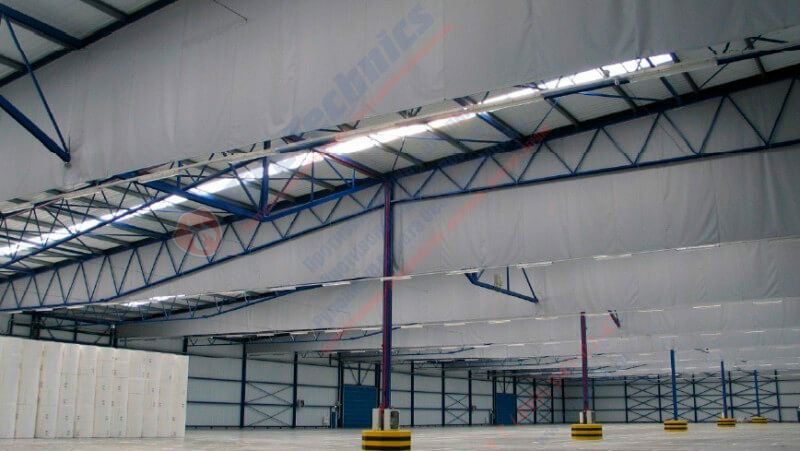 In order for the mechanism to be in an ideal working condition, GOST smoke curtains provides for their monthly inspection and maintenance according to the schedule recommended by the manufacturer. Fire safety systems can only be serviced by qualified specialists who have been trained and have a permit that allows them to engage in service work for the maintenance of fire systems. Only an integrated approach and appeal to a well-proven manufacturer can give peace of mind and confidence that the building is under reliable protection from the adverse effects of fire and combustion products, which will be localized in time and will not “capture” the entire building. Our company has extensive experience in the design, manufacture, installation and maintenance of fire protection systems of varying degrees of complexity. The smoke shields fireshield EI 120 , which do not provide for water irrigation, in practice have confirmed their ability to remove smoke, carbon monoxide and other combustion products from the smoke removal systems, enabling them to protect material values and conduct human evacuation without threat for life. These products are certified and allow you to overlap different in complexity of the apertures of almost any size. 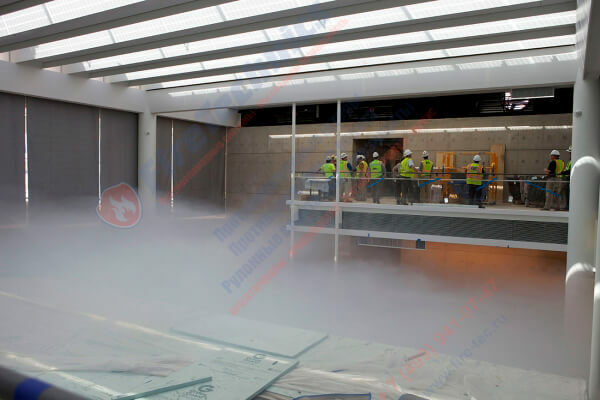 Smoke curtains, the price of which can vary depending on a number of parameters, can be installed even at airports, assembling from modules of 8 meters long into one long smoke-shielding construction covering an opening of any length (no more than 10 Meters). Usually installation of smoke shields does not imply installation of guides, however, if there is a customer’s desire, or specialized technical conditions, it is quite possible to conduct it with guides. In addition, these barriers do not require the installation of water irrigation systems, independently ensuring the retention of the spread of fire elements and smoke for 2 hours. 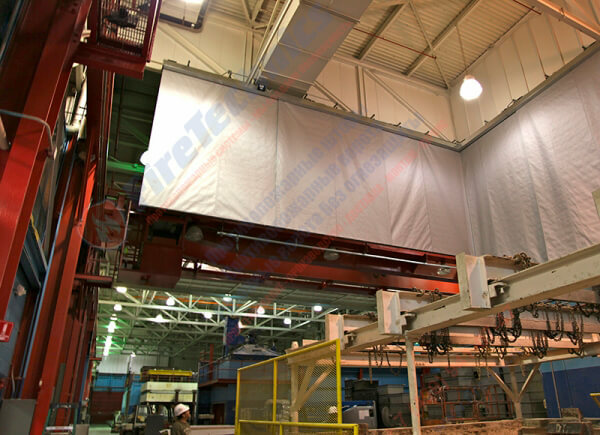 The design of our smoke-shielding curtains in St. Petersburg, Yekaterinburg, Yaroslavl and others is assembled in a non-working condition in a neat “roll” and hangs under the ceiling. If a fire occurs and a corresponding smoke signal is input to the central control panel of the fire system, it sends a signal about the operation of the obstacle mechanism, causing the canvas to fall and block the smoke zone. 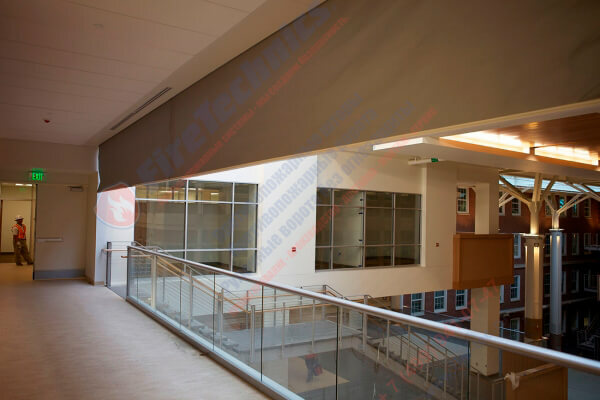 Smoke curtains fireshield for a long time delay fire element, which minimizes material loss. Curtains are lowered using the “Gravigen” drive – without electrical energy, solely under the influence of gravity, which acts on the lower distracting bar. Normal smoke screens provide for lowering the blade at a speed of 0.15 m / s. If the power supply is turned off, the system can remain operational for three days due to the presence of an integrated battery in the management unit. 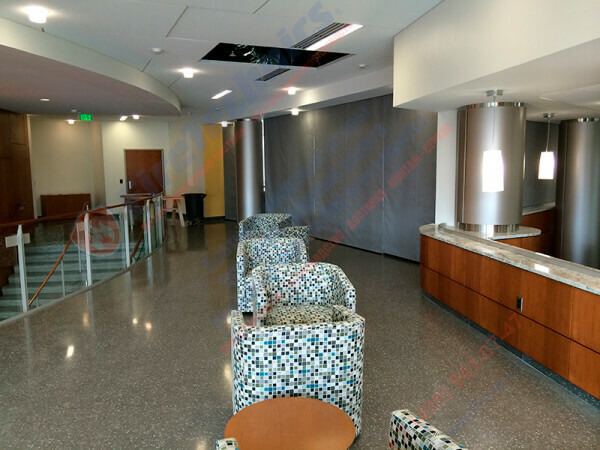 We practice an individual approach to customers and offer the most reasonable budget to Smoke curtains. The winding body, which consists of panels of sheet steel, galvanized. 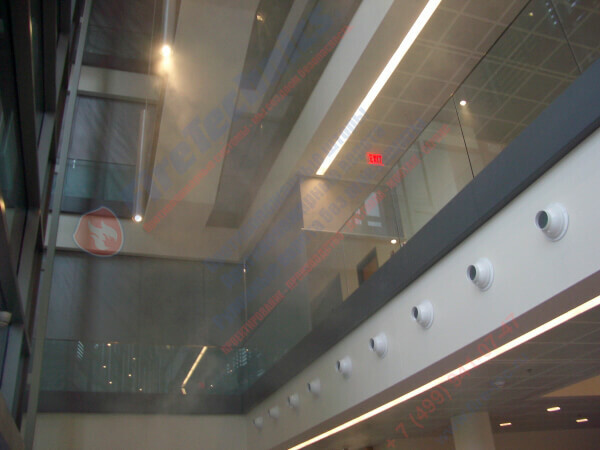 If smoke curtains, videos </ strong> which are on the site, will be long, then the panels are joined, and their ends are closed with covers to seal the circuit. These covers also help in the perception of torque from the motor. The dimensions of the box depend on the height inherent in the overlapping opening. If it does not exceed six meters, then this is 20X22 cm, if not more than 2 – 15X15 cm, if more than six, the calculation is made individually. 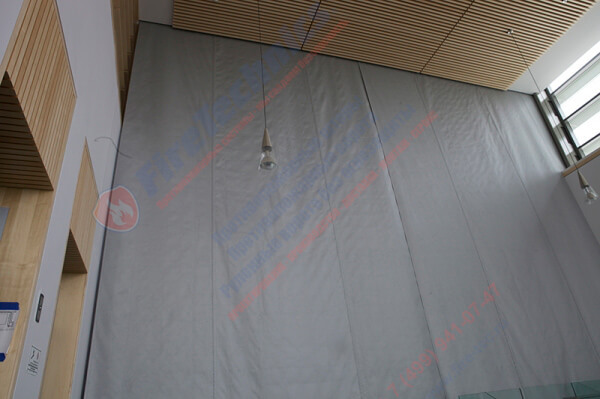 The winding shaft smoke curtains – the instruction means its installation in the case by means of a rigid attachment. The protective web is connected to it by mechanical fastening. So that it does not completely unwind, the design is equipped with a safety device. Cloth – to create smoke curtains, requirements </ strong> which are reflected in the Federal Law 123, a high-quality German canvas fairtex 600, reinforced with wire is used. In this case, the fabric weighs only 435 grams per square meter, having a thickness of 0.4 mm. Cuts off the bus – it is on the bottom edge of the linen Smoke curtains EI 120 , and helps to keep the web in expanded form, ensuring its connection with reaching the sides of the guide. The weight of such a tire depends on the size of the structure and is usually in the range of 4.5 to 7.6 kg per meter. 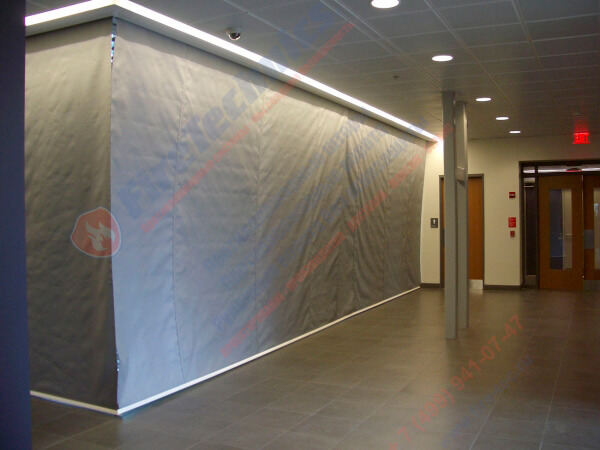 The guide – as a rule, Smoke curtains fireshield EI 120 does not imply the installation of the side guides, although it is quite possible, if you want to remove from the wall and the web from the sides, or tightly secure the fabric, so that the gaps can not be formed under pressure . 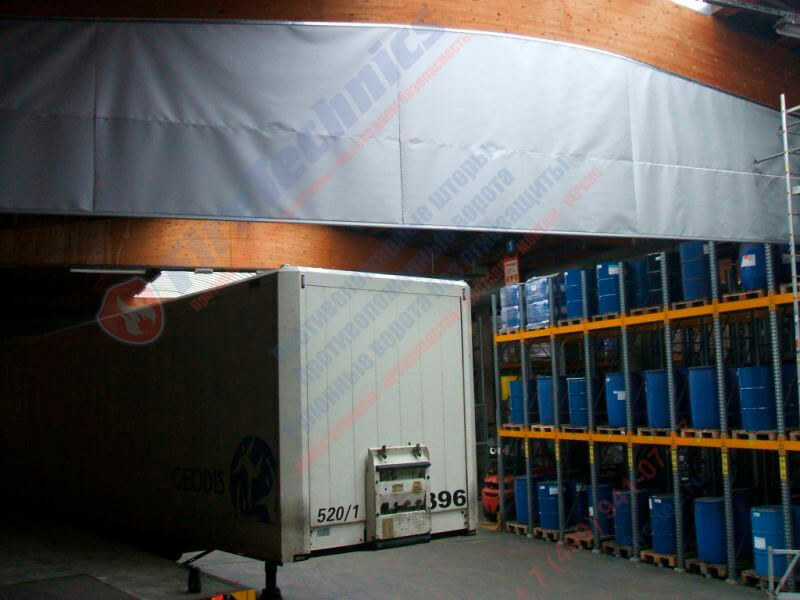 Control System Smoke curtains EI 120, instructions for which the use is simple enough – involves the use of tubular motors and tubular motors. 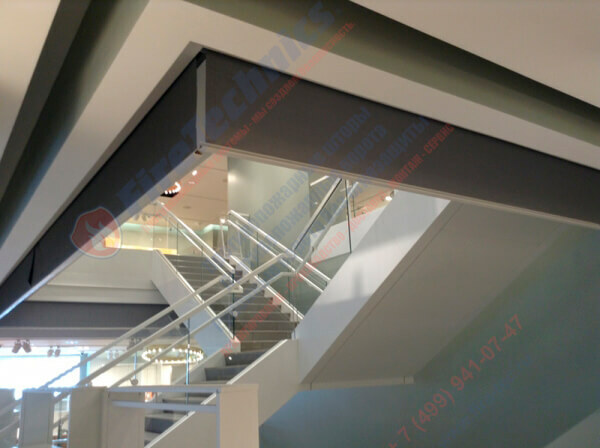 The door-loophole is optional – it is installed with guides smoke curtains (photo is on the site) with a linen overlap and without interruption distracting the bus. Fire-proof automatic curtains with DISCOUNT only now! 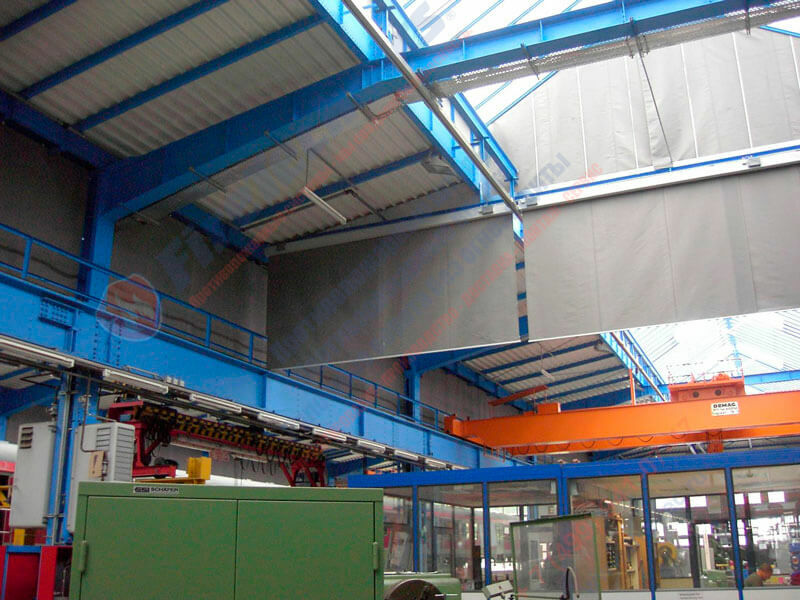 If you have questions about the production of Smoke curtains , their application, advantages and features, you can call or write to our online competent managers, and they are happy to answer all your questions!